Marathon Competition offers a longer timeline, and an opportunity for competitors to iterate and improve their solutions against open-ended problems that have no single right answer. 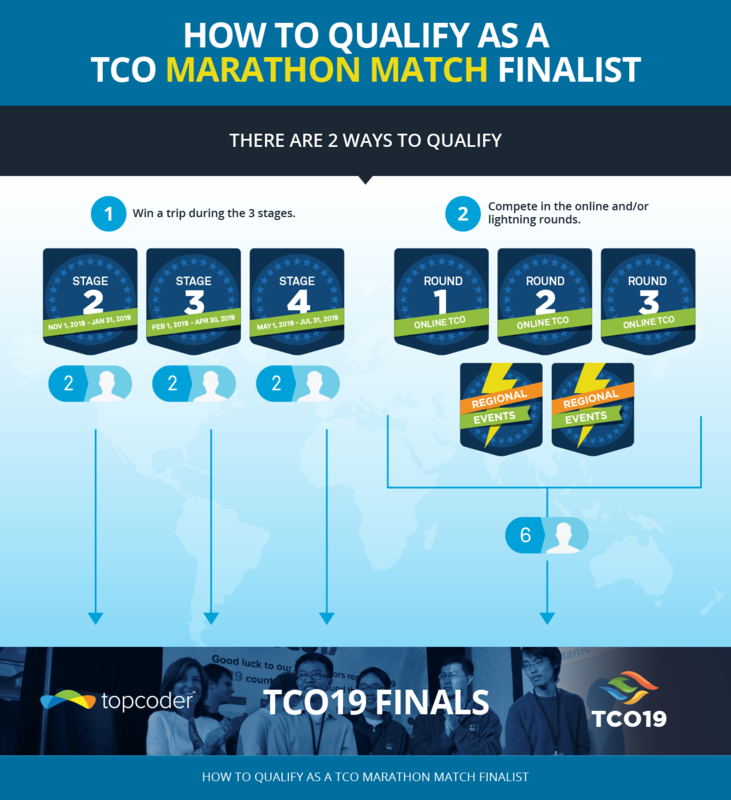 The TCO19 Marathon Competition will begin soon and the top 12 competitors will win a trip to the TCO19 Finals! The Marathon Competition will consist of a number of Marathon Match Competition Rounds. Each round will have points which can add up making you a finalist for the TCO19 Finals where you have a chance to win $10,000! More details about the Marathon Match Competition are coming soon so stay tuned as the rounds will start earilier than usual!